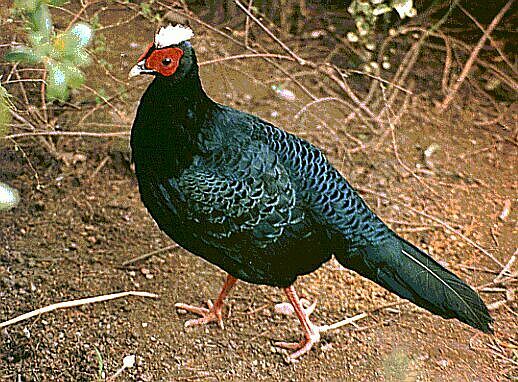 In 1994, it was believed that the Edwards's pheasant was extinct in the wild, although there was a sizeable captive population in captivity, descended mainly from a small group of birds brought to Europe in the 1920s. At this time, WPA had been working closely with Hanoi Zoo and providing a lot of training and support for their pheasant breeding programmes. 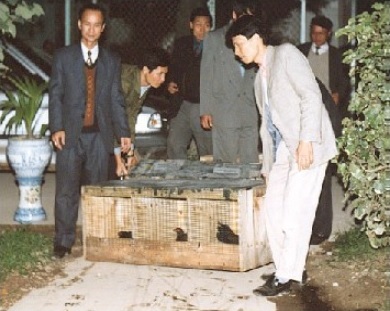 WPA in the UK decided to offer 4 pairs of captive Edwards's pheasants to Hanoi Zoo so that the species could at least be seen in its homeland. The birds survived well and bred regularly, enabling interesting comparisons to be made between the recently discovered Vietnamese Pheasant (Lophura hatinhensis) and the Edwards's. More importantly, when a male Edwards was captured in the wild and eventually taken to Hanoi Zoo, there were females available for him to breed with. The DNA from this male and his progeny form an extremely important part of WPA's current DNA research into this species, which has again been suggested may be extinct in the wild. This DNA research will determine which birds within the captive population are the most useful for any reintroduction or reinforcement programme.